How to apply new strategies to get all employees "on the same page"
Training on this topic will demonstrate strategies and resources that have been taught to more than 8,000 leaders and that are currently used to make conflict reduction and working with difficult and resistant employees easier. Participants will benefit from a greater understanding of current applied research and techniques that are quick, effective and easy to use. Session participants will review the above topics during a lecture presentation with an ongoing question & answer format. Actual cases will be presented with an emphasis on the reduction of conflict with difficult & resistant employees. Examples of all research results, assessment tools & management strategies will be handed out to participants. Dr. Bruce Miles is the owner & CEO of the Big River Group, LLC. He has also been an Assistant Professor & taught Graduate & Doctoral coursework in the areas of leadership, research, planning, finance & personnel. He is a national-level presenter and trainer in the areas of strategic planning, organizational improvement, organizational conflict, & difficult employees. 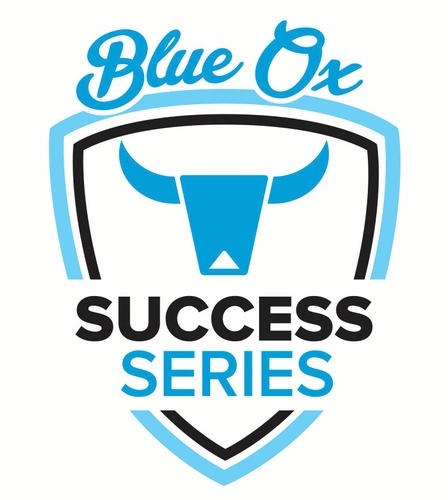 The Blue Ox Business Academy Success Series is a series of 90-120 minute professional development workshops held once a month. The goal is to give participants tangible, take away ideas that they can immediately apply to their work in order to gain new business, improve customer retention, save money, and/or market to new audiences. Geared for entrepreneurs, seasoned industry professionals, and budding leaders alike, the Success Series will give participants new ideas and strategies to immediately help grow their business and improve their professional lives. Topics vary but will generally pertain to leadership, sales, marketing, customer service, technology, and human resources. Most sessions will include both expert trainers and local business panels.